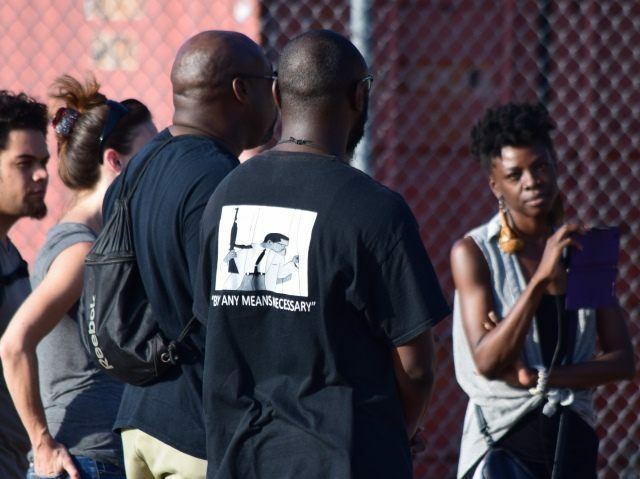 The messages of hatred towards whites and the police were clear in their chants. 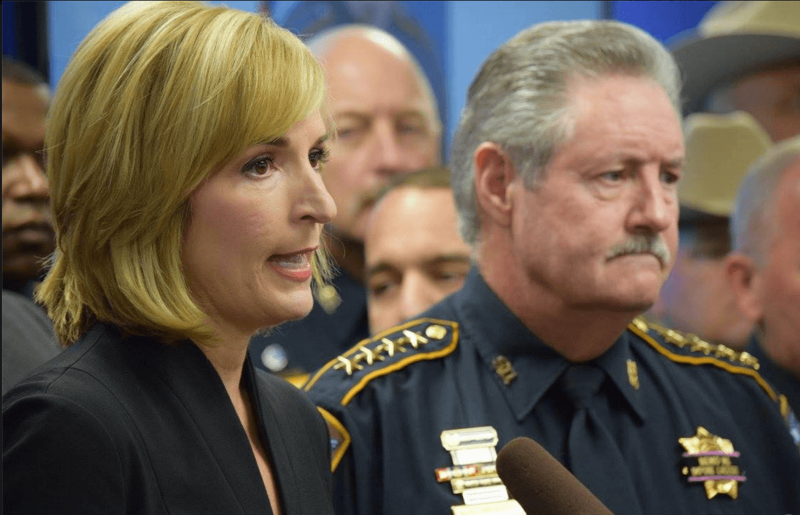 Deputies from the Harris County Sheriff’s Office were at the jail that day in large numbers. There were nearly 75 deputies, 10 mounted deputies, a mobile command post, an observation aircraft, and a helicopter, all there to ensure the peace. On Tuesday of this week, “Sunshine” took to her Texas-based radio show and continued her propagation of hate speech against both whites and police. Breitbart Texas reported that on her show, called “Sunshine’s F***ing Opinion Radio Show,” people called in and demanded that people take to the streets in gangs and lynch white people and kill cops. The following day, an angry gay black man videotaped himself executing two white reporters in Virginia. 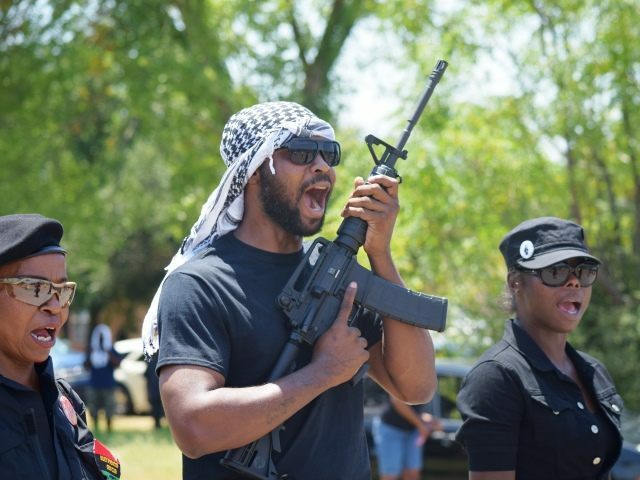 While no direct connection to Sunshine’s show exists, this type of speech reveals the angry rhetoric from some blacks who have been increasing the incitement to violence, and have engaged actual violence, over the past year. Before murdering Allison Parker and Adam Ward during a live broadcast, Vester Lee Flanagan II published a manifesto calling for a “race war.” He said in his manifesto that he was angered by the South Carolina murders of nine blacks in a church bible study class. The same day that Breitbart Texas reported about the Texas-based internet radio show, another black man, Shannon Juraury Miles allegedly walked up to a uniformed Harris County Deputy Sheriff, Darren Goforth, and fired multiple rounds from a handgun into the back of his head. He continued firing his weapon into the deputy’s back as Goforth lay dying, and dead, on the ground. Miles is now in the Harris County jail after being charged with capital murder of a police officer. 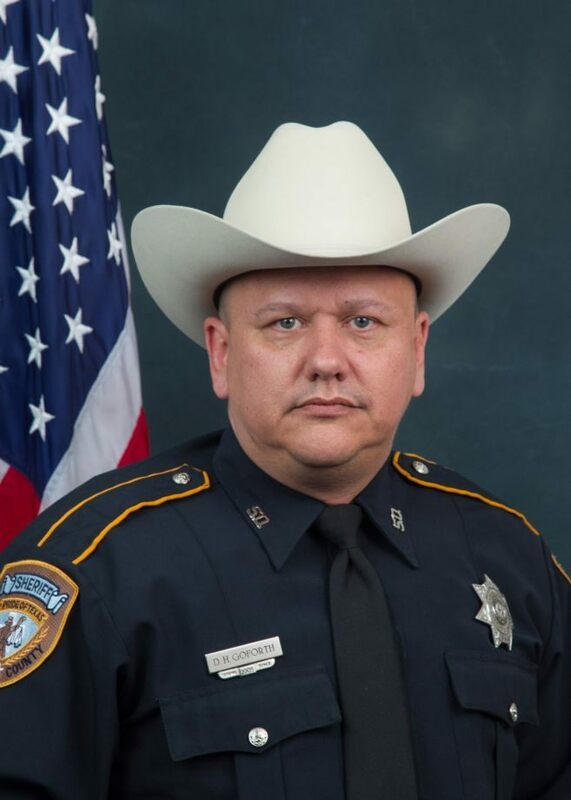 During a press conference in Harris County, Texas, officials announced the details of the murder of Deputy Goforth and their questioning of a “person of interest.” Sheriff Hickman answered media inquiries as to the motivation of this alleged killer. 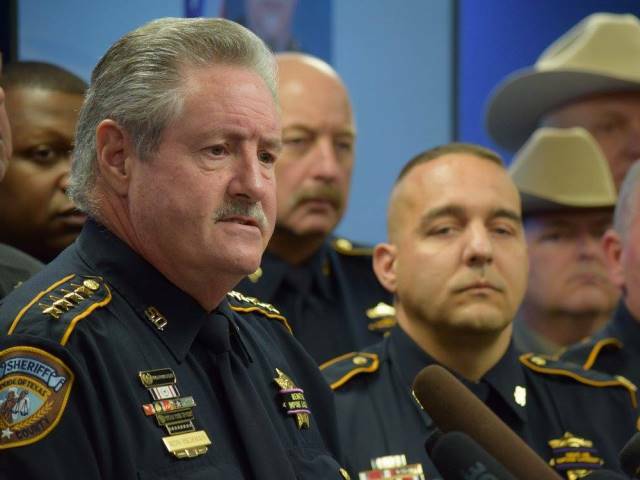 “This rhetoric has gotten out of control,” Sheriff Ron Hickman said during the press conference attended by two Breitbart Texas journalists. As for his deputies’ safety, Hickman said, “Any time you have a clearly unprovoked attack, you have to take steps to protect yourself.” He called on his deputies to be vigilant of their surroundings and to work in teams, especially at night. Lana Shadwick contributed to this report. Follow her on Twitter @LanaShadwick2.